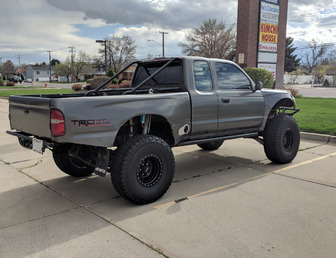 Looking to sell my 1997 1st-gen Tacoma. 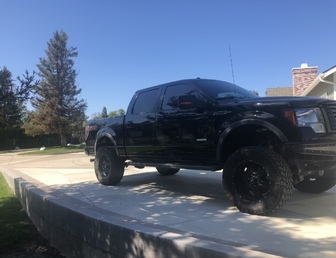 It's an awesome truck I bought in 2017 and drove from California to Texas, and Texas to Utah a few months ago. Used it to pre-run the baja 250 & 500 in Baja Mexico. Nothing tougher or better out there, this is the real deal, and everything works great. I'm just not using it enough and I figure it needs to move on to someone who can have some fun with it. Look around, this truck is all over pinterest & instagram. You can't buy the parts for the price of the truck (which is why I bought it originally). 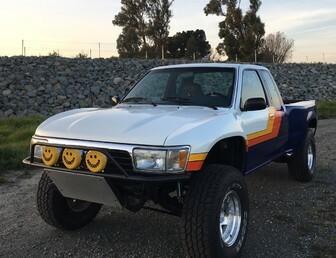 This truck is a great deal if you're wanting a go-anywhere, do-anything awesome truck. 2009 FJ cruiser. FULLY LOADED with tons of upgrades. Let’s start out by saying it was originally from Texas, NO RUST. Currently sitting at 107,000 miles. Automatic, ice cold AC, NO ACCIDENTS CLEAN TITLE. Now for the fun stuff. No expense spared on this build. Over 20k in mods and upgrades. Outside has been fully Linex coated and we mixed in original Toyota tan color into the texture to give it a unique look. Original color was black so all jams and engine bay are black. If you don’t know what linex is it is a rough coating kind of like bed liner which gives it a super durable finish and a tough look. Can’t scratch it or ding it. Suspension- Kings mid travel suspension. Coils in the front with external reservoirs and kings shocks with external reservoirs in the back. Overall truck is lifted 3 1/2 inches. Pro comp upper control arms, new ball joints. Also replaced axle seals at the same time. Outside- custom steel front tube bumper with a smittybuilt 12k lb winch. Steel rear bumper with tow hooks and built in hitch receiver. Rci steel plates from front to back covering all areas including rear diff to protect the bottom of the vehicle. Engine- recently installed URD supercharger. Went stage 2 it makes 380 whp with the upgrade pulley and tune. Front mount intercooler, hks ssq bov. Truck also has a full afe exhaust front to back including afe catless long tube headers. These rotrex blowers are super reliable and have there own exterior oil supply which is good for 50k miles. This setup alone cost $8k. Also did nitro 4.33 front and rear gears to be able to counter the tire size change. Optima yellow top battery. Wheels and tires- method racing rims 16x9 with 33” BFG all terrain k02 tires. 5th wheel and tire is on the back to match. Truck comes with kicker upgraded door speakers, kicker rear sub in the factory enclosure, and led headlight bulbs. NO CHECK ENGINE LIGHTS WHATSOEVER. It will pass smog and all inspections. 2008 Duramax Chevy Silverado 3500 Chase Truck. 180k miles. New BFGoodrich All Terrain Tires and Method Wheels. Work Bed with tool boxes and power inverter. 2006 Jeep unlimited Rubicon, 156k original miles, clean title and well maintained. 2008 Lexus GX470 4wd. Rare build Icon equipped front and rear. Icon front coilovers. Rear Metal Tech air ride to coil and Icon shock conversion. Rago ditch bracket and KC pod lights. Icon 17in Alpha bronze wheels with new BFG All Terrain tires. Matching spare tire and Icon rim included. Registered in AZ no sales tax private party. All service complete and current to include recent timing belt and water pump. Rare build serious offers only. NO TRADES 18k OBO ! B&M 2wd auto trans shifter. I’ve decided to sell my 2013 Jeep Wrangler Unlimited Sahara. This Jeep is truly something to see and especially drive. It stands out anywhere and gets me compliments everywhere I go. I bought it bone stock from the dealer and have put tons of the best parts on it to make it preform amazing both on and off the street. It hasn’t seen much dirt in its life but definitely has all the best parts to impress any driver. 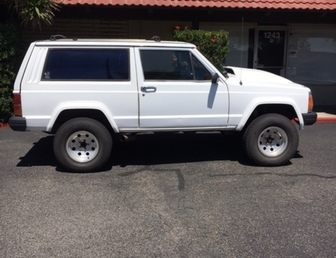 All the maintenance has been done by my local Jeep dealer as well as Rebel Offroad in Laguna Hills, who has also done most of the modifications. The jeep has always been garage kept since I bought it and is in great condition. 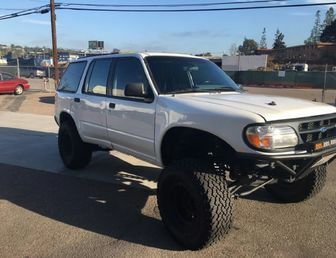 It only has 58k miles on it and is perfect for taking the family crawling or to the desert on the weekends and getting you to work on Monday. This was my daily driver for many years and the reason I am selling is that I just don’t have the time to drive it as much as I would like to. If you have any questions feel free to give me a call at (714)-473-0973.